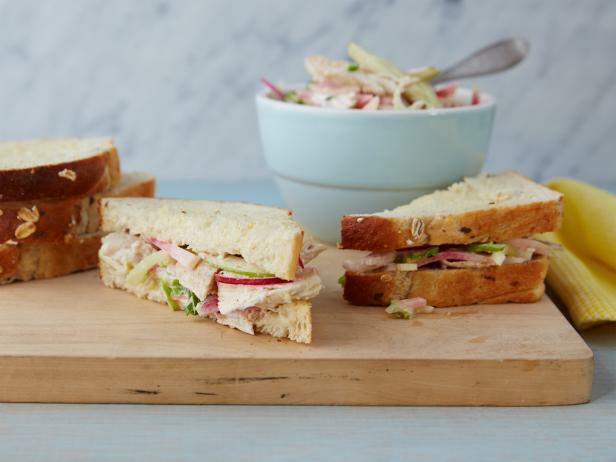 This sandwich spread is as refreshing as it is satisfying; dressed up with shredded chicken, celery, mayo and onions. Dovetailing Tip:Use the leftover chicken from day 2 to shred and use in todays sandwich recipe. Place chicken meat into a large bowl. Add celery, mayonnaise, salt and pepper to taste. Stir to mix. Lay 4 slices bread on work surface. Divide salad evenly among them. Top with remaining bread.